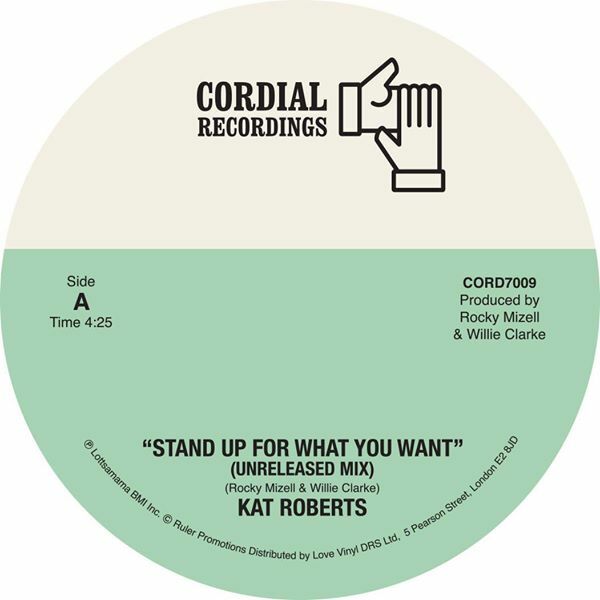 Miami legendary producer Willie Clarke sat on this glorious Kat Roberts solo version of ‘Stand Up For What You Want’ since 1984 and we’re happy to have worked with Willie to release these versions on vinyl for the first time. The 12″ version with Les Brown was originally released in 1984 and is highly respected by collectors across the globe. The general feeling was that the song would have been better received with Kat pushing her vocals to the front and thankfully Willie had recorded two different takes of the song at the time when he recorded it originally. The song itself brings a positive message and provides Kat with a great platform to show off her warming vocals.